Why should you advertise with Perthshire Travel Guide? Perthshire Travel Guide, may have the perfect solution for you. Why should you advertise Choose an Option Place your order Here are a few questions for you. 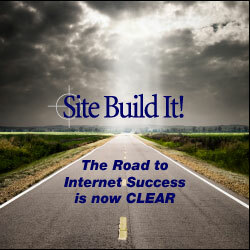 ... looking for high targeted traffic? ... looking for high targeted leads? Does your business relate to Perthshire Scottish Higlands in general? I may just have the solution for you! Gateway-to-the-Scottish-Highland.com is a fast growing, high value content, informative website that will provide you with a great, low cost solution for exposure on the Internet. Who would benefit from advertising on this site? or any other travel related activities. Always use those photos that best reflect your property and/or services, providing potential customers with a great opportunity to choose to do business with you! You've heard the saying 'a picture is worth 1000 words'? Choose which of these three options best suits your particular business needs, you can see them on this page. Each example is described as to how each advert option is made up! It may take up to 2 or more months to get any significant traffic to ad pages. However, due to the unpredictable nature of search engine technology, I cannot give any guarantees regarding traffic. You may include a single photo image on your ad page. It must be .jpg format, 600 x 300 pixels @ 75 Kbytes maximum. (Full page ad only) I can offer my own photographic services to provide a set of professional photo images. Please contact me to discuss your requirements and a quotation. All advertising options are paid a year in advance. Payment Methods - made by Credit card or Paypal invoicing. Once you have decided on the advert option, click on the "Buy Now" and complete the details as requested. It's that simple! If none of these advertising options are what you are looking for, please complete the form below with your advertisement details so that I may send you a quotation . Please enter your text for the Ad?